The demo of the MVP version of Crosspays is available here. Soon there will be a press conference for journalists. Learn this the first media@crosspays.com ! PRIVATE PRESALE AND BOUNTY CAMPAIGN HAVE ALREADY STARTED! When buying from $1000 up to $10,000: + 100% bonus! When buying over $10,000: + 150% bonus! + Rewards of $ 50,000, $ 30,000 и $ 10,000 in CPS tokens. + Unique status in Crosspays. for the users of Bitcointalk.org! 8. Media, videos, forums and blog posts: 22% . 4. The use of fraud, deception, spam or any unethical behavior is not allowed. 7. The team of Crosspays reserves the right to make minor changes to the terms of the Bounty campaign. 8. Bounty campaign of Crosspays starts from the moment of creation of this post. 9. The Signature campaign is limited by 200 participants! If your status has changed PM Bounty Manager (Bit Smith). 2. As soon as you have a signature, avatar and personal text, report in this thread. 3. Fill in the Google form. The global marketplace and social network. 4. Facebook account must be real. Fakes, dead, inactive accounts and bots are not accepted. 5. The Twitter account must be real. Fakes, dead, inactive accounts and bots are not accepted. 6. Participation from multiple accounts is not allowed. Participants convicted of using multiple accounts will be disqualified. otherwise your stakes will not be counted. ** ATTENTION: DO NOT CREATE NEW POSTS EVERY WEEK FOR YOUR WEEKLY REPORT. PLEASE MAKE ONLY ONE POST AND CHANGE IT EVERY WEEK TO SEND THE REPORT. OTHERWISE, YOUR RECORDS WILL NOT BE ACCEPTED. 4. You do not have to discuss BOUNTY in our group. Only the first 1000 participants will receive a reward. 5. Comments are considered only those without spam, repeated or unnecessary content. 10. At the beginning of the post there must be a reference. 2. Good quality: 200 stakes. + a bonus of up to 1500 stakes if the article/video has 1000 + views. 2. Articles and videos must be genuine. Copying graphics, text and other content is not allowed. 6. Blogging platforms on general topics, such as Medium, Steemit, Newbium and others are accepted, but only one post per participant. Win Tesla Model X + $ 50,000, $ 30,000 or $ 10,000 in CPS tokens! A separate raffle of the car Tesla Model X or the equivalent of its cost ( $ 150 000) in any cryptocurrency will take place among the registered users of Bitcointalk.org - members of the Crosspays Bounty Campaign. In addition, during each of the ICO (PRIVATE PRESALE, PRESALE, and ICO) stages, three prizes in the CPS tokens will be raffled (equivalent to the amount of $ 50,000, $ 30,000 and $ 10,000) for the most active members of the Bounty campaign of Crosspays. 1. The Tesla raffle or the cost of the car ($ 150 000) in any crypto currency among the participants of bitcointalk.org will occur within a week after the completion of the ICO only when reaching Soft Cap ($ 5 million). 7. Winners are required to publicly give the evidence of receipt of prizes. Register in bitcointalk.org and take part in the official Bounty Campaign of Crosspays. Good luck! 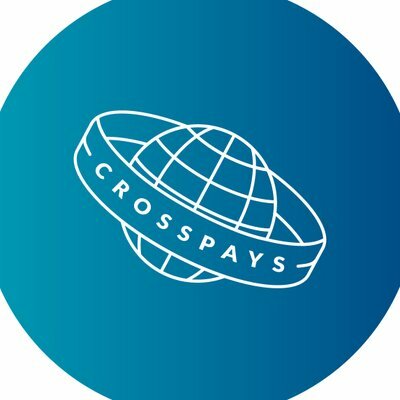 You can also increase your chances of winning and take part in a raffle for the participants in a crowdfunding campaign at crosspays.com as a regular user. To do this, you need to create a separate profile, buy CPS tokens and follow the terms of the lottery. Developed activity within the company on Bitcointalk.org is not counted. Get reward from selling CPS tokens: 4% - the first referral level, 2% - the second, 1% - the third. By clicking your referral link, the User becomes your referral and buy, for example, 10.000 CPS tokens. You receive: 400 CPS, being the first referral level. If the referral of your referral buys 10,000 CPS, you get 200 CPS. If the referral of your referral invites one more referral and he buys 10 000 CPS, you get 100 CPS. Example: clicking the referral link and paying for 100 CPS, the user receives 102 CPS + bonuses of ICO stages. 5. Do not use Crosspays referral link for spam. 6. Think up something of your own! Register in Crosspays, in your personal account go to "Bitcointalk Campaign "
and in the section "Referral System" you will see your unique referral link. Good luck! The Crosspays telegram bot publishes in the groups a motivating post about Crosspays with your unique referral link. By clicking your link, the user buys 10.000 CPS tokens . You receive: 400 CPS - the first referral level, 200 CPS - the second, 100 CPS - the third. Example: by going to the referral link and paying for 100 CPS, the user receives 102 CPS + bonus stages ICO. For more information about how the referral link works go to the section REFERRAL CAMPAIGN. 1. Register in Crosspays, in your personal account, go to the section "Bitcointalk Campaign". 2. In the "Accounts" section, confirm your account in Telegram. 3. Add the bot @CrosspaysBot to the group associated with the cryptocurrency topic. 4. Now @CrosspaysBot on the command /show will public a post about Crosspays with your unique referral link. Individual payment in CPS tokens from the Fund of Marketing, Advertising and PR. what the Community is and its pluses for the users. Fill in this form of Google. The team of Crosspays will contact you. in order to be a part of the successful global company of Crosspays in the near future - do not hesitate. which your team can confidently begin to implement right now. The Crosspays team thanks you for your trust and assistance in the development of the Community. various bonuses and priority when hiring in Crosspays.